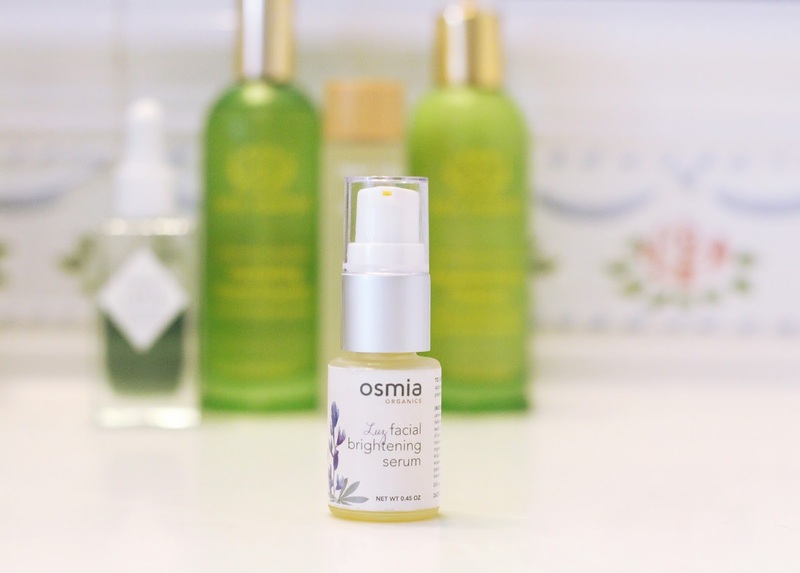 I can't tell you how many people have recommended the brand Osmia Organics to me, and yet it has taken me until this past summer to finally try it out. After about a month of using their products, I can tell you I have one regret - I cannot believe I didn't listen to everyone's recommendations sooner! With unbelievably unique ingredients and formulations this all natural brand has everything from skincare to body care to fragrances. Let's start with the brand's Whisper Lip Gloss*, a sheer berry gloss that has quickly become my go-to for everyday wear. The site describes this particular color as working on all skin tones and I can absolutely see why - it's incredibly flattering and has just the right amount of pigment to make it the ideal fall color. Aside from the gorgeous shade though, the ingredients of this gem will have your lips feeling better then ever, no matter what their condition. It's no secret that I struggle with drier then dry lips that can't seem to hold on to color throughout the day. With ingredients such as castor oil, pumpkin seed oil and sunflower seed oil this beaute is a total dream to wear throughout the day. I seriously bring it everywhere with me and can already tell you I'll be repurchasing it the second I run out. Equally impressive has been their Luz Facial Brightening Serum*, a blend of broccoli seed oil, prickly pear oil and argan oil that acts as the most brightening base imaginable. For whatever reason there have been many so-called "brightening" oils and serums that my skin hasn't gotten along with. I don't know if it's because my skin type is in need of a richer oil most of the time or just the specific formulations, but I tend to stay far away from those type of products (which is a bummer because I, like others, would love a brighter complexion). All that said, this serum is truly different. Broccoli seed oil and prickly pear seed oil are two of my absolute favorite ingredients and they work wonderfully here. The formula is rich but absorbs very well, allowing me to layer another oil on top of it if necessary (something I often do during my evening routine). Several weeks into using it daily I have definitely noticed a more luminous complexion, with a more even skin tone and less redness. I love using it around my eyes as well, as prickly pear seed oil is a fabulous choice for brightening up dark circles. Have you guys tried Osmia Organics before? I'd love to hear any recommendations for what products to try next!